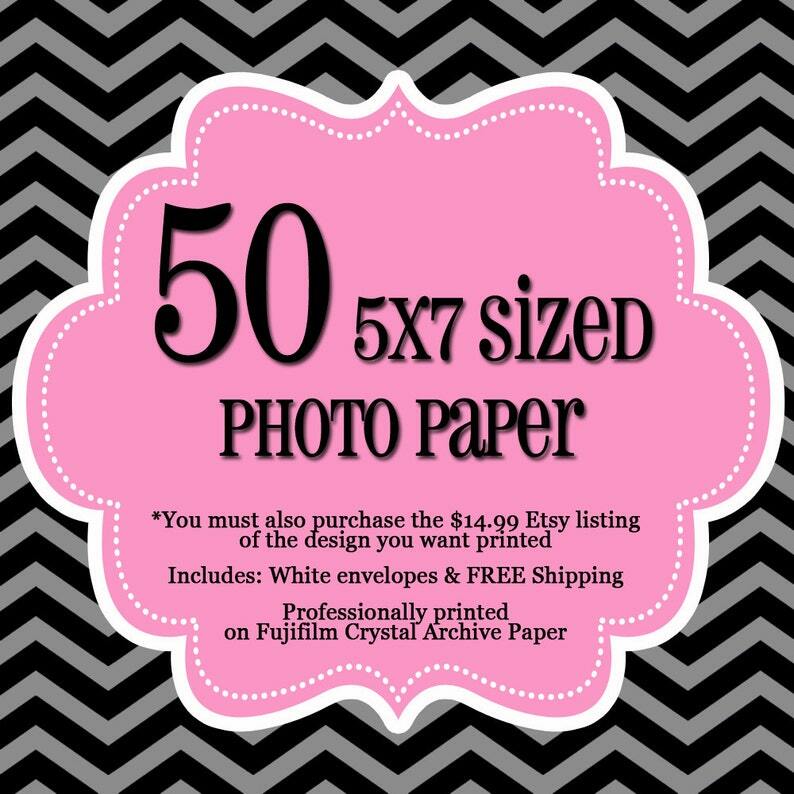 Please note this listing is for (50) 5x7 sized Professionally Printed Photo Cards. Printing prices DO NOT include my design fee of $14.99, which is in addition to these prices. Add the Etsy listing/card you wish to have printed to your cart before checking out. Add the $14.99 design listing of the Announcement or Invitation you want printed to your cart. Add this listing for printing services to your cart and check out via PayPal. Once you approve the proof, your card will be sent for printing and a confirmation email will be sent with tracking information for shipping. Shipping is estimated to be 3-4 Business days.